recipe 1986 - Spokane Cooks! Ankeny's Atop the WestCoast Ridpath Hotel. 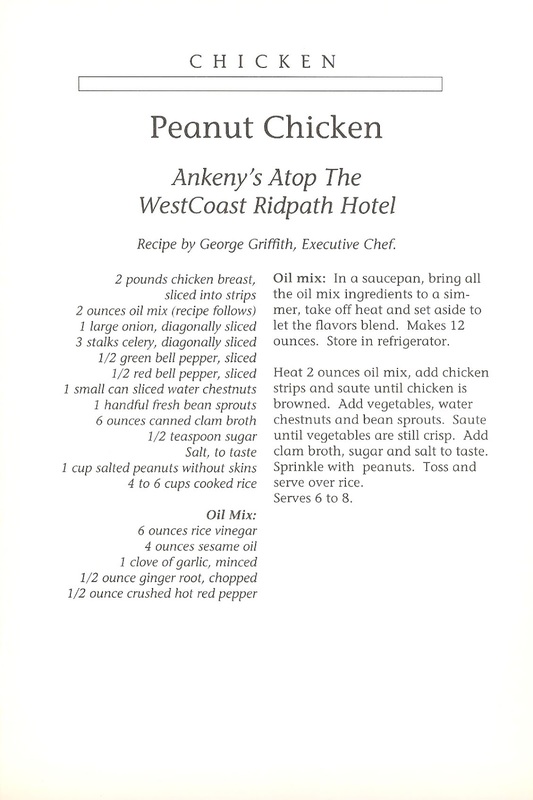 Peanut Chicken Recipe by George Griffith, Executive Chef. Chicken breast, onion, celery, green bell pepper, red bell pepper, water chestnuts, bean sprouts, clam broth, sugar, salt, salted peanuts, cooked rice, rice vinegar, sesame oil, garlic, ginger, hot red pepper.